Iranian writer Nassim Soleimanpour wrote this play when he was forbidden to leave the country. The schtick is that an actor will only be given the script on the night of the performance. The audience will then go on an unrehearsed and undirected journey with them. 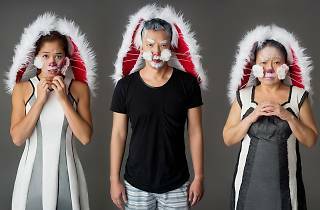 Singapore Repertory Theatre's artistic director, Gaurav Kripalani, takes on the challenge this time.